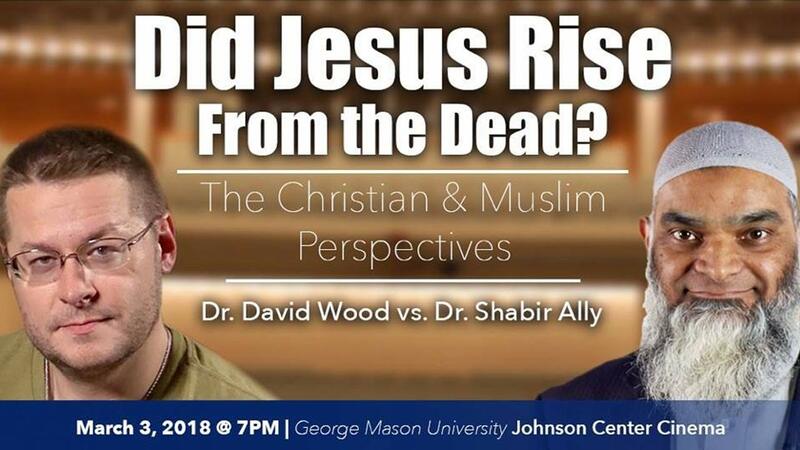 A debate between Christian apologist David Wood and Muslim apologist Shabir Ally will be held on March 3 on the George Mason campus. The topic of the debate is “Did Jesus Rise from the Dead? The Christian and Muslim Perspective.” This is not an RBC-sponsored event, but we encourage you to consider attending. Dr. David Wood is a Christian apologist with a doctorate in Philosophy from Fordham University. He has become one of the most popular Christian apologist on YouTube. He has had numerous debates with both Muslims and Atheists, and he has produced many videos on YouTube that discuss the truth of Christianity and Islam. You can watch Dr. Wood’s story and see some of his other videos here. Dr. Shabir Ally is the President of the Islamic Information & Dawah Centre in Canada. He has written several books and participated in numerous debates with Christian scholars and others. You can learn more about him here.